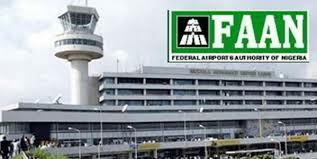 The Federal Airports Authority Of Nigeria (FAAN) has initiated the implementation of the recent Executive Order issued by the Acting President Prof. Yemi Osinbajo, at the airports in the country. In compliance with the Acting President's executive order on the Airports, the manual baggage checking counter has been removed today. According to him, the importance of the executive order cannot be overemphasised, especially because it will strengthen the nation's fight against terrorism and eliminate unnecessary bureaucracy that impedes business activities at the airports. He said it would also improve safety, security and passenger facilitation within and around the airports. Passengers, Airport users and the general public are urged to cooperate with FAAN officials carrying out their responsibilities. On duty, staff shall be properly identified by uniform and official cards. Off duty, staffs shall stay away from the ports except with the express approval of the agency head.